Hi friends! It’s just about Summertime, right? Time for BBQs, pool parties and fun in the sun! 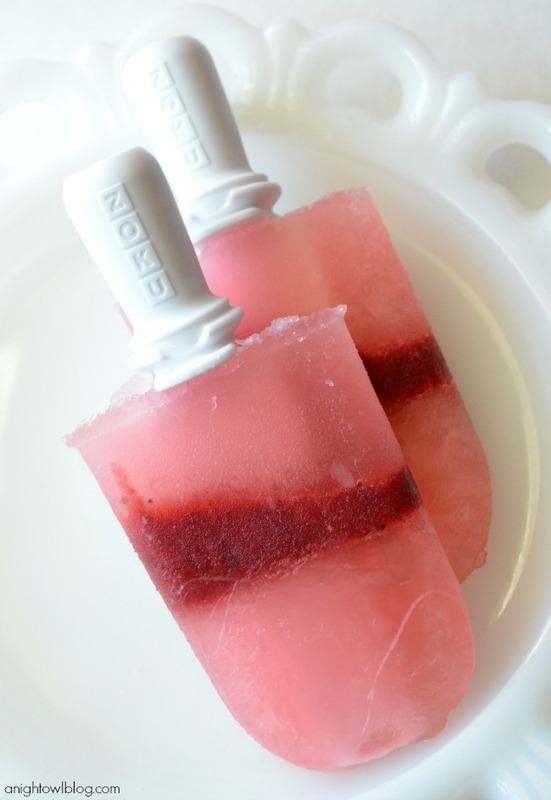 Well today I’m sharing the perfect compliment to your Summer entertaining menu, Strawberry Daiquiri Popsicles made with BACARDÍ CLASSIC COCKTAILS LIGHT Strawberry Daiquiri! 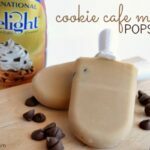 Delicious and low calorie? Tell me more! 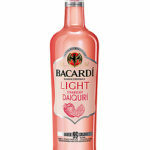 At under 95 calories, made with Bacardi Rum and natural flavors, real lime juice and cane sugar, this new cocktail is a delicious and convenient way to serve the best, naturally! Just pour over ice and it’s ready to serve. 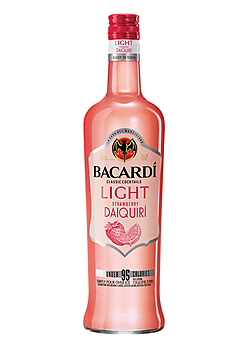 I had the opportunity to taste test the new BACARDÍ CLASSIC COCKTAILS LIGHT Strawberry Daiquiri, and let me tell you – it will not disappoint! I love how effortless it was to serve. 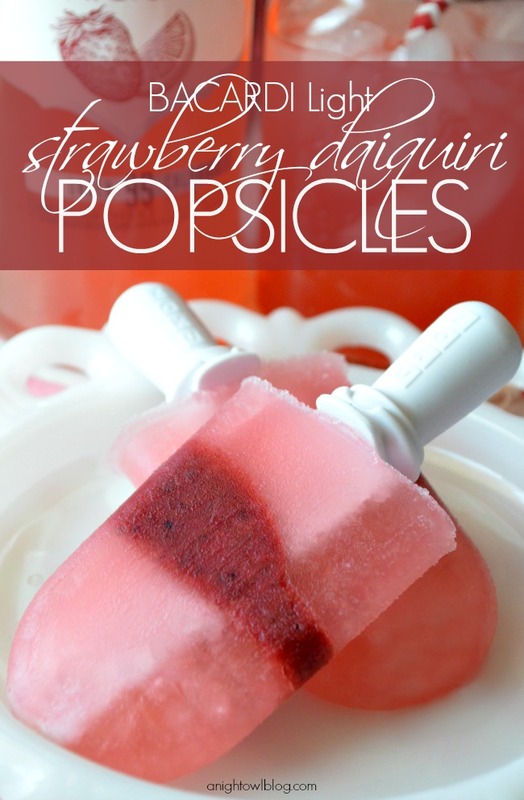 I just filled a mason jar with ice, poured the strawberry goodness and popped in a cute paper straw (of course)! 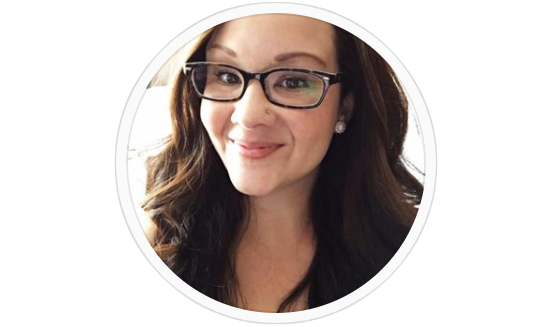 Hello, party cuteness – can you picture it? It was so tasty and I didn’t have any of the guilt of consuming too many calories afterwards. Easy, tasty and no guilt? Match made in Heaven. 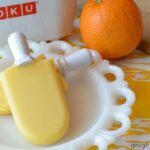 Now here in sunny Arizona, our key to Summer survival is the popsicle! 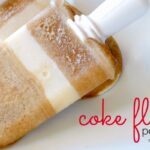 So of course I thought, why not make this delicious drink into a tasty treat! And that’s just what I did. 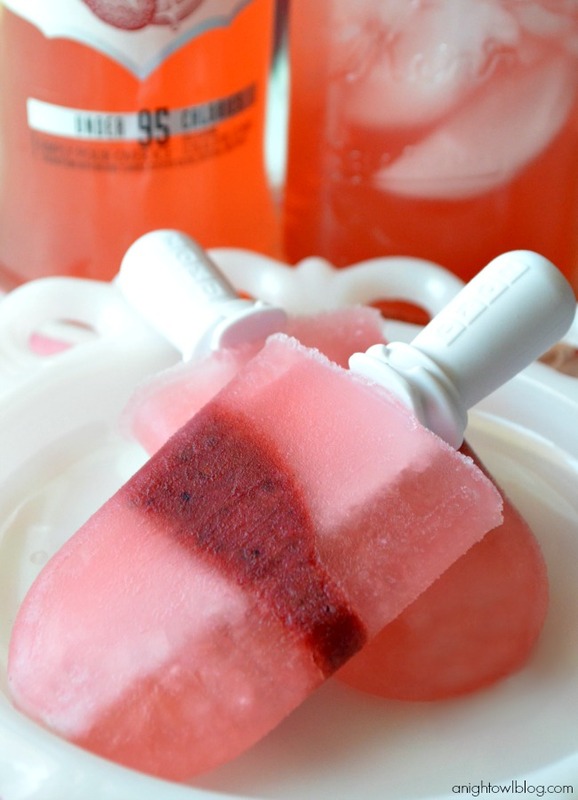 Fill 1/3 of your popsicle mold with BACARDI Classic Cocktails Light Strawberry Daiquiri. 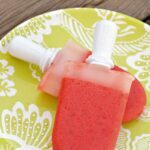 Once the first third of the popsicle is mostly solid, fill the next 1/3 of the popsicle mold with blended strawberries and syrup. Easy enough, right? And so delicious! 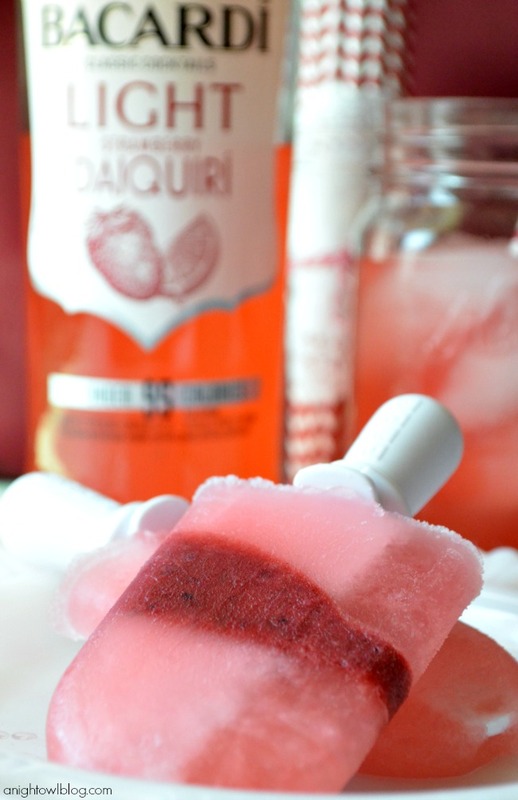 There are so many ways you can enjoy BACARDI Classic Cocktails Light Strawberry Daiquiri this Summer! How would you serve it?